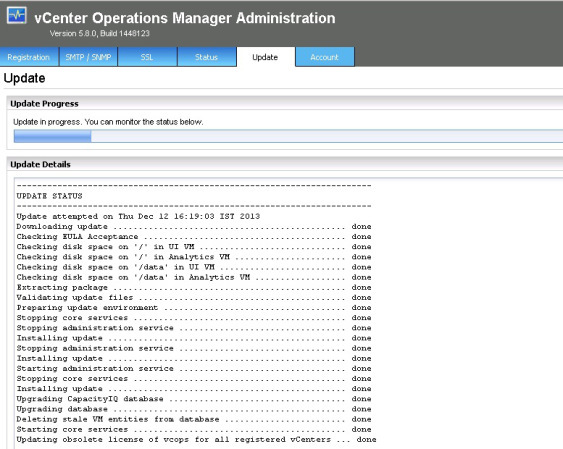 vCOPS 5.8 was recently released with a lot of other products. 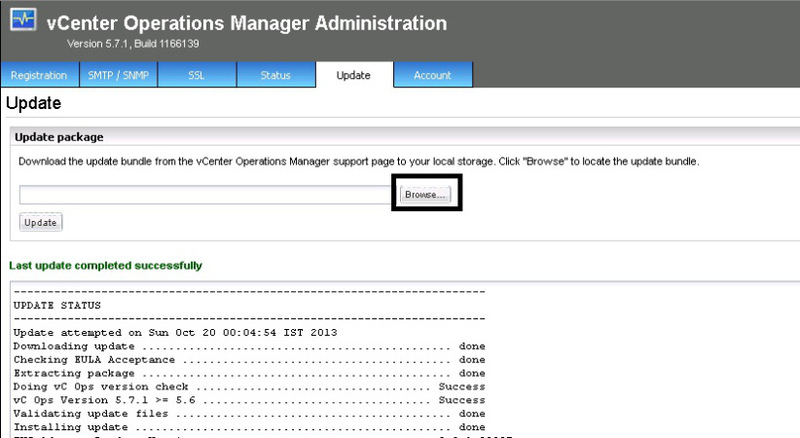 In this blog post we will see the steps involved in upgrading from vCOPS 5.7.x to 5.8. 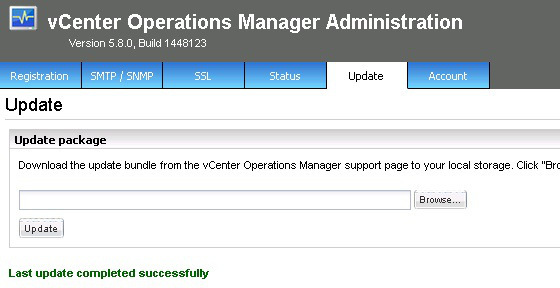 Now login into your admin UI of vCOPS with administrator privileges so that you can perform the upgrade. Once you are in, navigate to the Update Tab. this is where you will upload your upgrade PAK file. Click on browse button and point it to the file’s location. Now you can click on Update button. 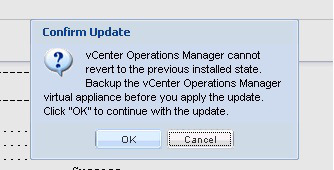 Once this is clicked the system will pop a warning saying that you cannot go back to the previous version once you click it and also that you better backup the appliance before you do this etc etc. This pops up an EULA. Accept the EULA and proceed. This kicks off the up-gradation process. And you will be logged out. 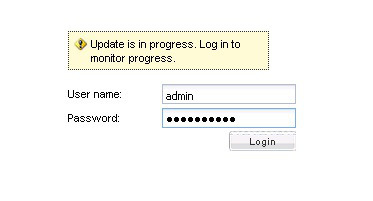 Log back in to monitor the progress. After a while the upgrade process completes. And Wola! you have upgraded to vCOPS 5.8. Trust me its as simple as these steps. Now logout and login to confirm the new version. can you upload this “.pak” file for me ? when i login with my account link is gray !! You will be able to download it only if you possess a license key. I too do not have permission to download it. dont you know any source to find this file ? AFAIK, you can download it if you have license and only from VMware site. I cant see any pictures. Hi Daniel, Check now? May be a browser issue? I can see them fine.